I’m sure that those of you who have been to a CUE conference, or even attended this year’s Fall CUE at American Canyon High School, are not surprised by this statement. Each year, I am amazed by all the awesomeness that congregates in one place. I kicked off my weekend by attending a session with Danielle Forst, Juli Kimbley, and Danny Silva. They demonstrated how a simple search, Google Forms, and Google Maps can be used to create a digital version of The Amazing Race. Basically, a question is asked, students have to search for the answer, answer it on a Google Form. The Form, after submitting, will have a link to a map with another question. So simple, yet soooo much fun! This, of course, got me thinking. This is why getting out of our districts and connecting with other educators is so important. 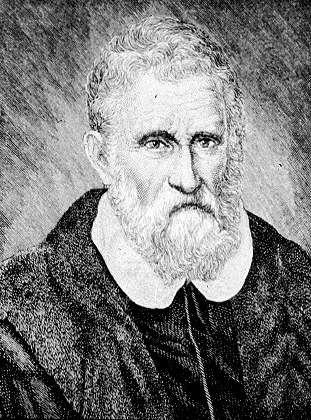 I had a lesson coming up on explorers, the first one being Marco Polo. I wanted to do an Amazing Race with maps, but am thinking that will be completely #awesomesauce to do with States and Capitals. As for the Marco Polo lesson I thought something a little simpler would be a better way to go. As YouTube is generally blocked in my district, but has been open on and off for a few days, I decided to take my chances. I created a VERY basic map about Marco Polo. I selected 2 points, again that whole will it or won’t it be blocked, and attached short YouTube videos, along with a rough outline of the route he took. I attached the link to the map using Google Classroom and away we went! The amazing part of this project wasn’t the simple map that was created, it was the learning that took place. Fortunately, YouTube is currently open, so the students were able to view the videos. However, the cool part of this lesson was that so many of the students were inspired, they began researching about Marco Polo and his life…On their own! I had students coming up to me, and each other, stating random facts that they discovered. One student found a video from the History Channel and began watching it (it was 40 min. long). Now I could have done the old fashioned thing and read it out of the uber interesting Social Studies book – cuz who doesn’t love those things? But instead, I used the inspiration of Fall CUE and experienced one of the best Social Studies lessons of my career! I can’t wait to have the students creating maps of their own! The simple map I created for my students. This entry was posted in CUE and tagged CUE, Google Maps by Admin. Bookmark the permalink.